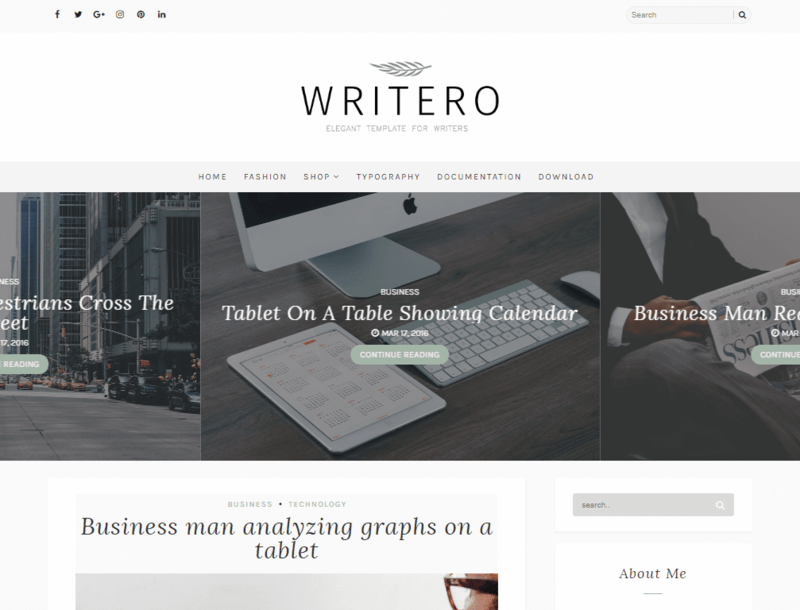 Writero is a classy and modern Blogger Lifestyle/Fashion Blog template for all the Bloggers out there who strive towards minimalism. Its retina ready and fully responsive design will look amazing and work fluently on all the devices, mobile, tablet, and desktop. It can be used for any Lifestyle, Fashion, OOTD, Travel, Makeup and Writer blogs. While it was built with clean and minimal design in mind, this is not the mandatory feature Writero is the proudest of. The main focus of this outstanding Writero Template is your content. In combination with its neat design, it will help you showcase YOUR content both texts and photographic in the most beautiful way. Your imagination is the only limit. Readers want information and they want it fast so theme is built to have perfect speed optimization as well as other SEO aspects in order to be completely optimized. Following are some of the key features of Writero blogger template.